*The spending money used to create this post was gifted by Hotels.com, but all views are my own. Recently, hotels.com asked me to go and explore a part of Liverpool I'm not too familiar with and last weekend, that is exactly what I did. I grew up in north Liverpool, and only a handful of times have I ever really explored further south than Toxteth, which is a bit daft for someone who's lived here my whole life and actually used to live in Toxteth. 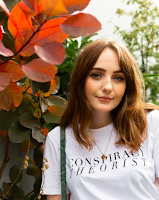 With quite a few options to choose from, me and Jessi settled on exploring Lark Lane, just south of Liverpool city centre, in search of more things to do in Liverpool. Liverpool is a fairly small city, and Lark Lane isn't all that far from the city centre, meaning you can stay just about anywhere and never be too far from the action. Have a look at hotels in Liverpool and you can see for yourself. 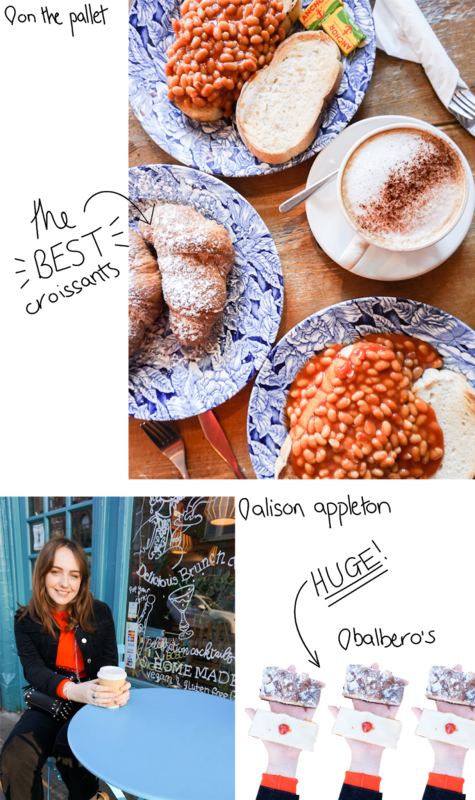 When deciding where eat breakfast on Lark Lane, we were spoiled for choice, and after browsing every single brunch menu on the street, we finally went into On The Pallet, a small, cosy restaurant just opposite the famous Keith's wine bar. There aren't a tonne of veggie or vegan options seeing as there's quite a small menu, but their beans on toast went down a treat on a cold autumn morning like this. If you go, make sure to order yourself a croissant - these were the best me and Jessi have had in ages - and she's been to Paris! Seeing as it was pretty chilly, we also stopped into Alison Appleton's tearoom for a quick cuppa and I am so glad we did. Their tea menu is huge, and you can even get some small packs to take away (with a brownie, of course). Speaking of brownies... make sure you head to Balbero's, an old school bakery on Lark Lane. This place has to be one of the cheapest places to eat in Liverpool, with absolutely huge portions for under £2. We got bakewells, brownies, rocky roads and even a scouse pie to take home - this is a post about exploring Liverpool, after all. You know me, I love a good independent business, especially when I can walk away with some new additions to my wardrobe. After squealing at the adorable exterior, we ventured inside Frieda Mo's, without a doubt one of the most instagrammable places in Liverpool. 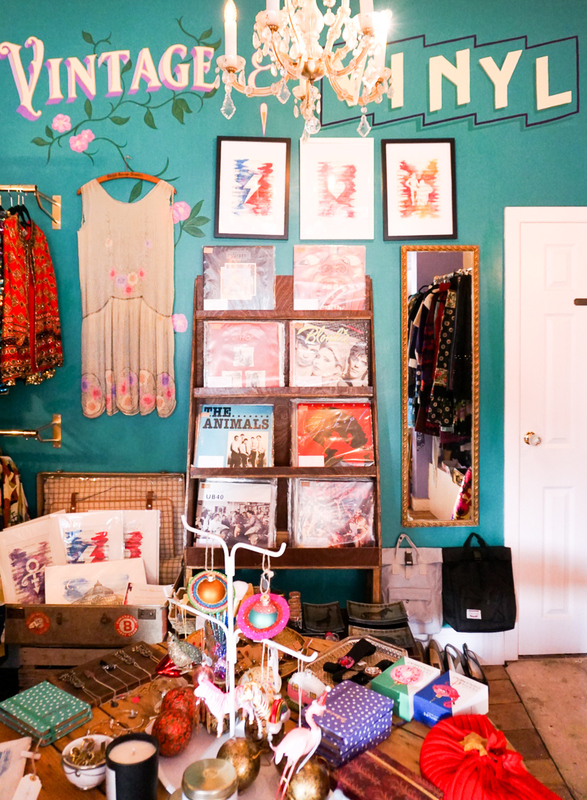 Inside, you'll find jewellery, candles, cakes, vintage clothes and vinyl. There really is something for everyone, so when you're looking for things to do in Liverpool, make sure you have a nose inside. 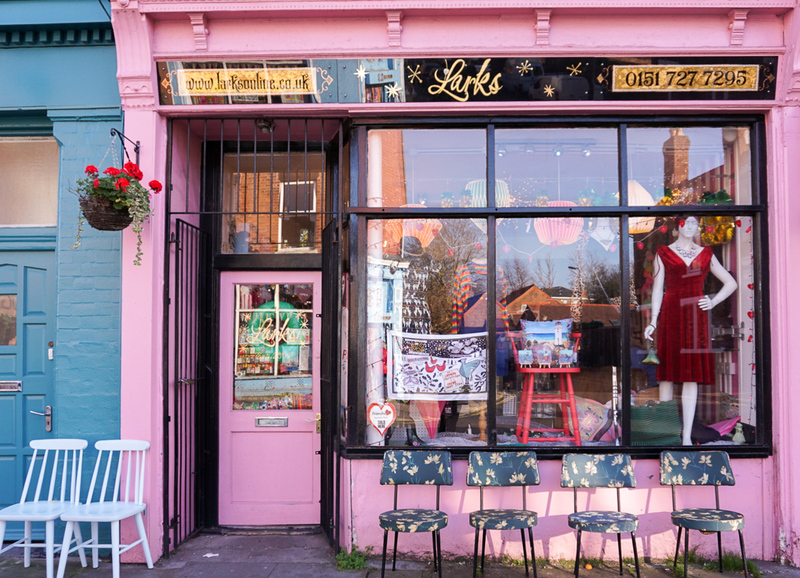 Further down Lark Lane you'll find Arts Hub, a small shop filled to the brim with goods from local makers, and further still, Lark's, a pretty pink shop stocking vintage clothes, bags, vintage homeware and gifts for just about everyone. We must have spent at least half an hour in here, heading upstairs to find yet more vintage treasures. I had to tear myself away, because just up Lark Lane in Sefton Park was the bi-annual 'pop up at the palm house'. This is a pop up (duh) independent maker's market, held in the most beautiful setting. There's food, drink (including some decent coffee from second city coffee) and some incredible gifts from some really talented artists inside. I had to pick up a print from my favourite, Jazz Stan. I'm beginning to collect these! There were also some gorgeous jewellery pieces available, too. Say hello to my new earrings from Blu Beau and Nordic Muse. 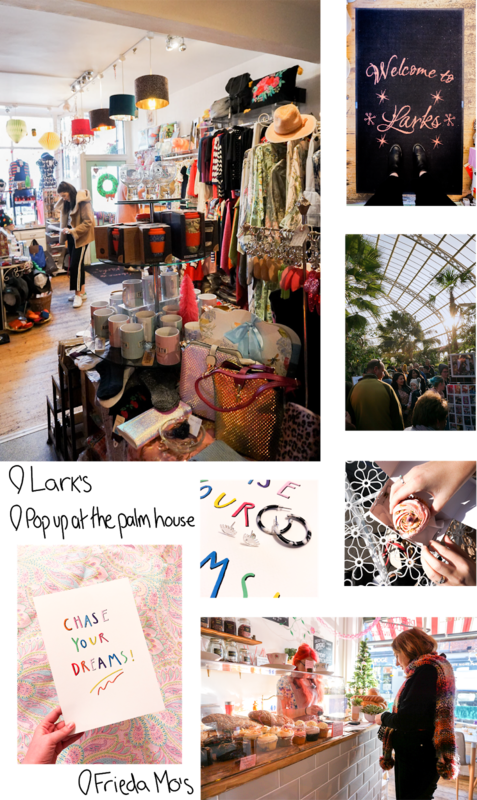 There are a tonne of cool creatives in Liverpool and by exploring the city's independent shops, you're bound to find some souvenirs to take home. Admit it, whenever you're researching somewhere to visit you keep an eye out for some instagrammable spots so you can take the best travel photos, right? Well Lark Lane has got you covered. 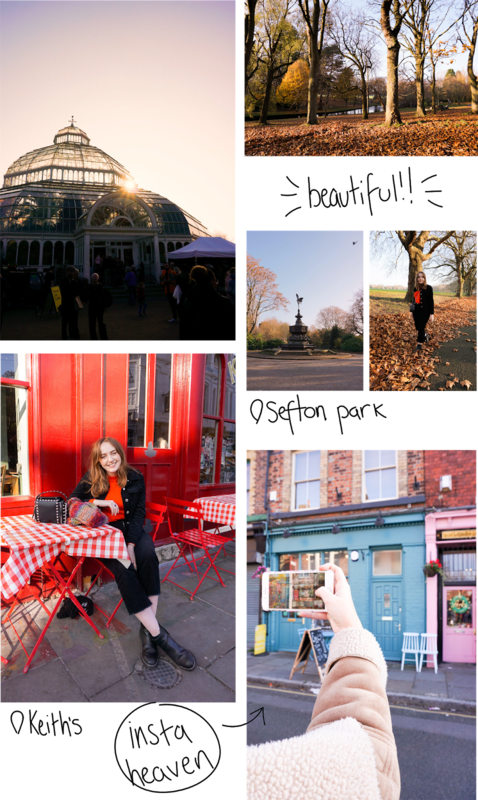 There are brightly painted shops dotted all along the street, making great backgrounds for outfit pictures, and of course at the end of Lark Lane you'll find Sefton Park. Sefton Park is the biggest park in Liverpool, in fact it kind of reminds me of Central Park, and it is picturesque pretty much any time of year. There's a fountain, a lake, hundreds of dogs, and of course the incredible palm house. You can explore this gorgeous building when there's not a makers market on too, so make sure to take your camera for this one. Make sure to see my post on more instagrammable places in Liverpool so you can really boost your feed whilst you're in Liverpool. Thank you to Jessi Lou Blog for helping me with the photos for this post! 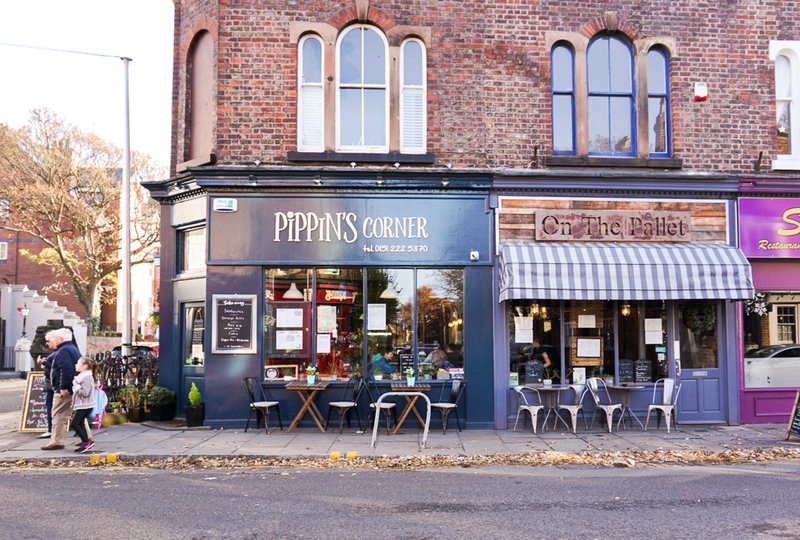 We had a great time exploring Lark Lane and discovering more things to do in Liverpool. So, when are you going to visit? I LOVE this blog post Allie! It makes me so excited to live on Lark Lane from next week! Eeeek!